Hey,I am putting up this profile on behalf of my daughter. She did her B Tech in Computer Science and is working with DELOITTE one of the big four consulting firms as Senior Technology Consultant. She has worked in Belgium and Germany on projects, apart from India. She has transferred to London office of Deloitte UK in Nov 2015 as a permanent employee (but can relocate as per requirement of family after marriage).  Her hobbies include reading fiction, cycling listening music dance , she is a vegetarian and cooks indian style food. Her mother - is a homemaker and her father - is employed working as branch manager of a nationalised bank. My daughter is an intelligent and sincere girl fully conversant with family values and we are looking forward to finding her perfect match. Ours is an upper middle class, nuclear family with moderate values. Her father is a working professional while her mother is a homemaker. She has 1 sister.